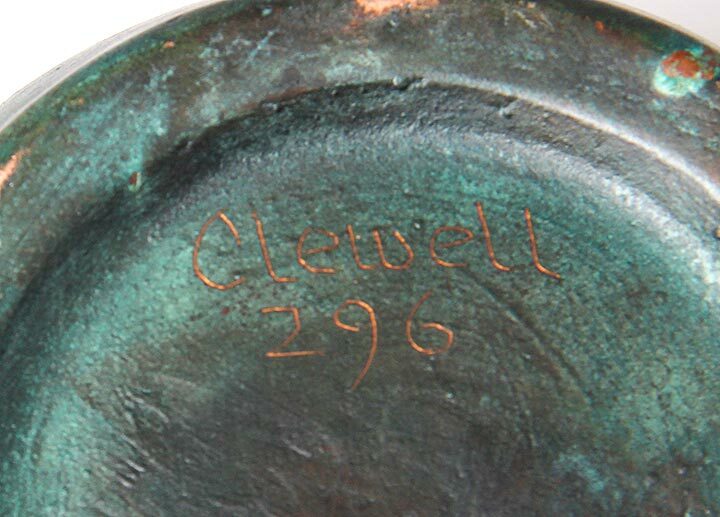 Clewell pottery was made in Canton, Ohio, from 1902 to 1955. 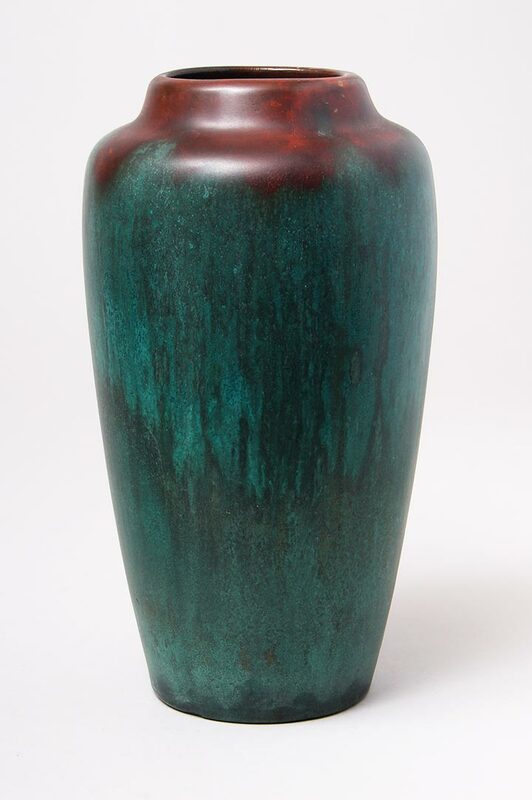 It is a ceramic vase covered with a layer of copper. Copper reacts well to chemicals which create a beautiful patina. Clewell's formula created lovely variations of green, red and brown. This example has a gorgeous, mostly green patina. At 9¼" tall, it's a perfect cabinet size. Signed "Clewell 296" underneath. Excellent, unrestored condition.